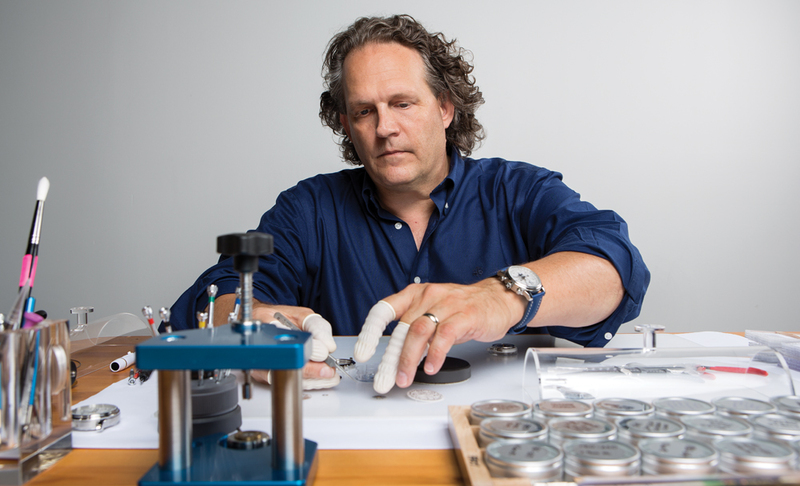 The husband-and-wife team at Detroit Watch Co. has a hand in every part of the business. 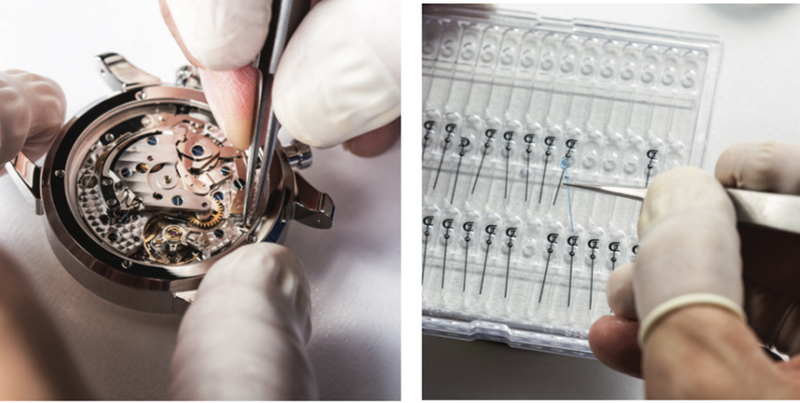 Building a watch involves assembling dozens of intricate parts. 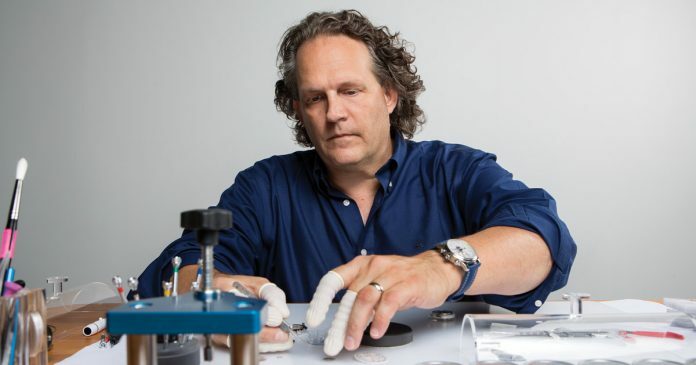 At Detroit Watch Co., owners Patrick (above) and Amy Ayoub design, assemble, and market their timepieces globally. Starting a watch company from scratch isn’t easy. In addition to sourcing parts and movements from a global supply base, other disciplines include design, development, assembly, testing, packaging, marketing, sales, and service. For its storylines, the couple researched the city’s history from its founding in 1701 by Antoine de la Mothe Cadillac and the French minister of marine, Louis Phelypeaux, Comte de Pontchartrain, who financed Cadillac’s expedition on behalf of King Louis XIV. There’s a 313 watch named for the city’s area code, a B-24 Liberator Bomber watch that pays homage to the 8,600 aircraft produced by Ford Motor Co. during World War II, an M1-Woodward timepiece, and the L’Horloge (French for clock), which highlights several clock towers from a century ago. The couple sells between 450 and 500 timepieces each year, with prices ranging from $998 for a 1701 L’Horloge or a 1701 Pontchartrain watch (multiple styles) to $2,550 for the M1-Woodward Moonphase Exhibition 42mm Swiss Automatic. The watches are sold via the company’s website. The company also takes on special assignments, such as a recent timepiece created to commemorate the 100th anniversary of Chevrolet trucks (100 pieces). Next up is a diver’s watch that will be available this fall, which will pay tribute to the Great Lakes. The timepieces feature movements from Switzerland, German dial hands, and leather straps from Tampa.